#133. 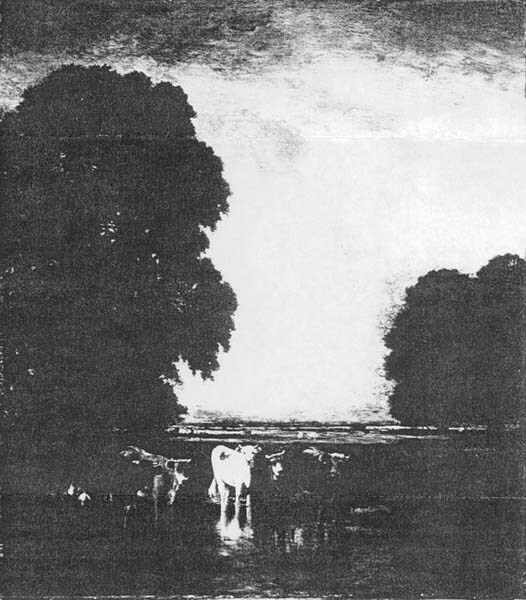 Cattle in a Meadow. 54 x 48, oil on canvas. "Gilbert Munger '86" front. The date and style suggest this is a painting of a French scene. Sold for £850 at Bonhams, London, auction of 21 Jun 1984, lot 56. 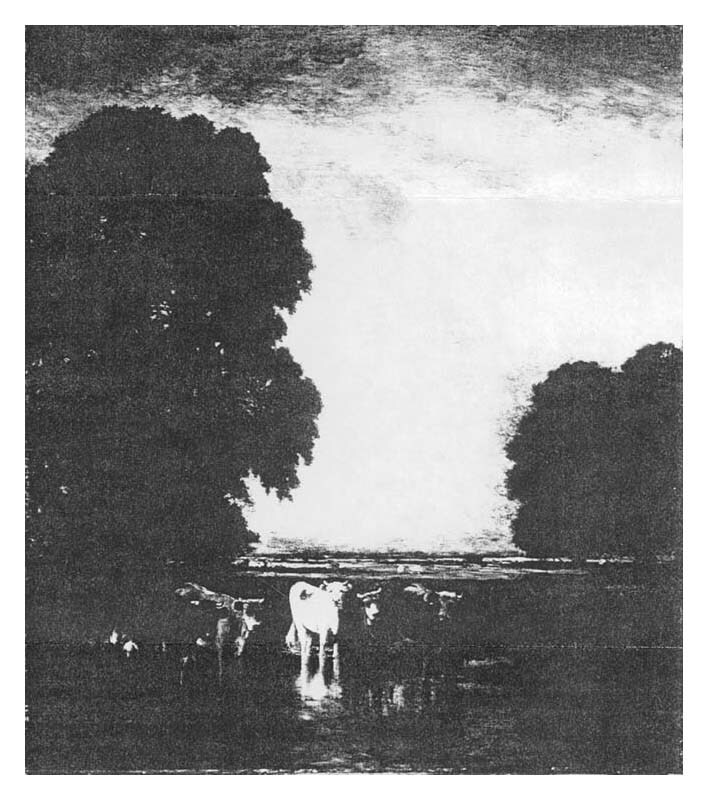 Image from photocopy of Sotheby's, London, auction records.